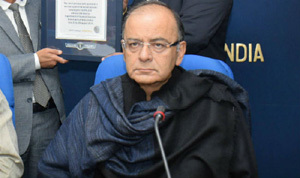 Finance Minister Arun Jaitley has said agriculture and rural sectors are main priorities of the government and it aims to cleanse political funding and fight black money. Addressing media in New Delhi post budget presentation yesterday, Mr. Jaitley said the government is allocating more resources for agriculture and rural sectors. He said many steps in the budget are towards boosting employment. 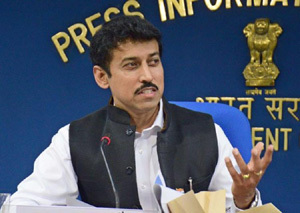 Minister of State for Information and Broadcasting Rajyavardhan Rathore today said government is making efforts to increase the reach of digital technology across the country. Inaugurating the 23rd international conference and exhibition on terrestrial and satellite broadcasting in New Delhi, Mr Rathore said, this will help people to connect. 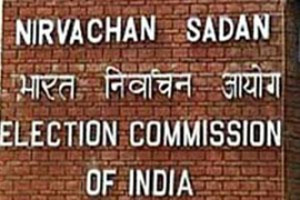 Election Commission has barred the political parties and candidates in Punjab and Goa from publishing advertisement in newspapers on 3rd and 4th of this month without its prior approval. The two states will go to poll on Saturday. The Commission has asked them to get pre-certified the advertisements from the Media Certification and Monitoring Committee at the state and district levels before their publication. 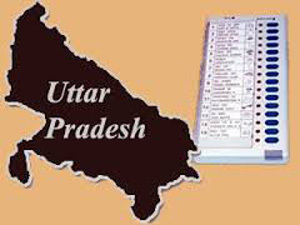 In Uttar Pradesh, a total of 1117 candidates have filed their nomination papers for 69 seats of third phase of the Assembly elections. Chief Electoral Officer, T Venkatesh said that the scrutiny for this phase will be held today and the withdrawal of the candidatures can be made till Friday. 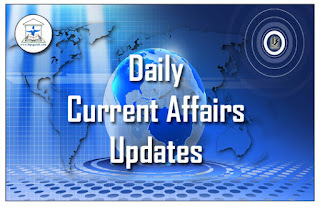 Our correspondent reports that the polling will be held on 19th of this month. Representatives of the Manipur government and agitating United Naga Council (UNC) are leaving for New Delhi today to take part in tripartite talks called by the Centre tomorrow. The aim of the talk is to find a solution to the three-month indefinite economic blockade by UNC in the state. The tripartite meeting has been convened by the Union Home Ministry considering the miseries being faced by the people of Manipur due to the blockade which began on first of Novmeber last year. The economic blockade has led to extreme shortage of essential commodities including food items, lifesaving drugs and motor fuel. Election Commission has seized over 105 Crore rupees cash from the five poll bound states of Uttar Pradesh, Punjab, Goa, Manipur and Uttarakhand. An official release said, the Commission has seized over 92 Crore rupees from Uttar Pradesh, one crore 81 lakh from Punjab, one crore 63 lakh from Uttrakhand and around 8 lakh rupees from Manipur. Revenue Secretary Hasmukh Adhia today said, political parties have to file audited returns by December every year or risk losing tax exemptions. 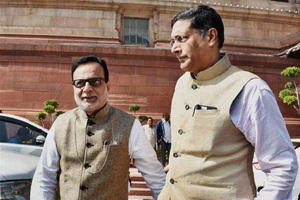 Mr Adhia said donations to political parties via electoral bonds will be confidential and donor’s identity will not to be disclosed. He said, Finance Bill will amend Representation of People Act to keep identity of donors using electoral bonds confidential. 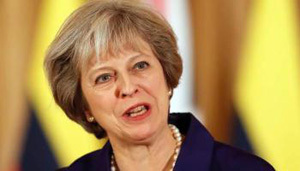 UK Prime Minister Theresa May has received Parliament’s first stage approval to begin the process of Britain’s exit from the European Union (EU) after winning a crucial vote in the House of Commons last night. British MPs voted in favour of the European Union (Notification of Withdrawal) Bill. Kuwait has suspended the issuance of visas for travelers belonging to Pakistan, Afghanistan, Iran, Iraq and Syria to prevent entry of radical Islamic terrorists. Authorities in Kuwait imposed restrictions on tourist, trade and visitor’s visas for those belonging to these countries. A group of militants bombed a Shia mosque in 2015, killing 27 Kuwaiti nationals. The move comes after US President Donald Trump banned entry from seven majority-Muslim countries, Iran, Iraq, Libya, Somalia, Sudan, Syria and Yemen for 90 days. Industry bodies have hailed the General Budget as growth oriented and progressive as the Director General of CII Chandrajit Banerjee said the budget continues to focus on important measures initiated by the government and is focused on both consumption and investment demand. 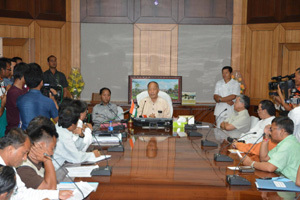 Mr. Banerjee also said the fiscal prudence of the budget is well appreciated. 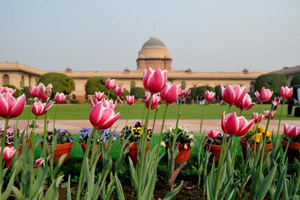 Secretary General of FICCI, Dr Didar Singh said the budget will strengthen the economic muscle of the country. He said it has touched all sections of the society. American telecom company AT&T on Wednesday announced it will be launching 5G wireless network with a maximum speed of 400Mbps in two US cities, namely Austin and Indianapolis, this year. 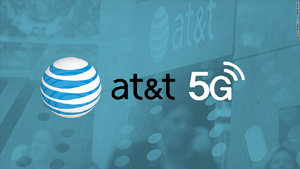 AT&T claims it will be first in the industry to launch 5G network. It further said deploying newer technologies could push the maximum speed to 1Gbps in some areas. Fiscal deficit in the first nine months of 2016-17 touched 93(point)9 per cent of the Budget estimate. 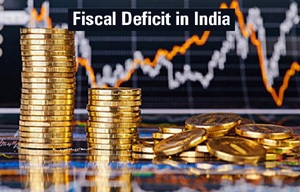 The fiscal deficit had stood at 87(point)9 per cent in the corresponding nine months a year ago. The fiscal deficit is the gap between expenditure and revenue. According to data released by the Controller General of Accounts, tax revenue was 71(point)4 per cent of the full-year budget estimate. 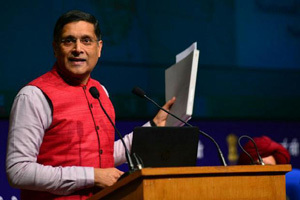 The Economic Survey 2016-17 tabled in Parliament today has advocated for the concept of Universal Basic Income (UBI) as an alternative to the various social welfare schemes in an effort to reduce poverty. The survey suggests that a more efficient way to help the poor will be to provide them resources directly, through a UBI. 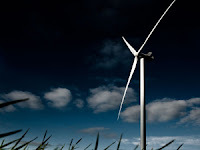 Denmark-based MHI Vestas Offshore unveiled a prototype 9-megawatt wind turbine which broke the world record for energy generation over a 24-hour period by a single turbine. 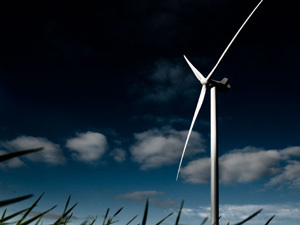 The 220-metre-tall V164 turbine, considered as the world’s biggest wind turbine in production, achieved 2,16,000 kilowatt-hours over 24 hours, which is reportedly enough to power an average Indian household for over 200 years. 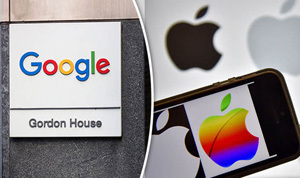 Search giant Google has dethroned Apple as the world’s most valuable brand with a brand value of more than $109.5 billion, according to Brand Finance’s Global 500 list. Apple, which has been the world’s most valuable brand for five straight years, registered a 27% drop in value at $107.1 billion over 2016. Jeff Bezos’ e-commerce major Amazon was ranked third. 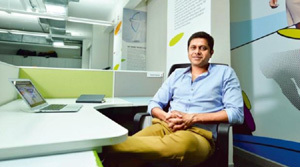 Myntra Co-founder Mukesh Bansal’s new startup, which he started with former Flipkart executive Ankit Nagori, CureFit on Tuesday acquired a majority stake in fitness centre chain The Tribe. Shwetambari Shetty, Co-founder of The Tribe fitness centres, will join CureFit’s management team. CureFit has also closed a deal to buy mental wellness services provider Seraniti. 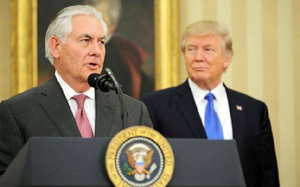 In US, Rex Tillerson, the former chairman and chief executive of Exxon Mobil, has been sworn in as President Donald Trump’s Secretary of State. The Texas native, 64, was cleared for full Senate approval in a 56-43 vote. 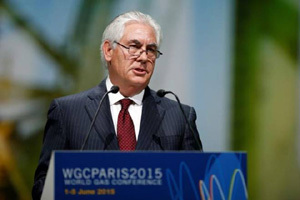 Mr Tillerson, who has never held political office, faced intense scrutiny over his ties to Russia. As Mr Tillerson was sworn by the Vice President in the Oval Office. In the third T-20 Cricket match, India beat England by 75 runs at Bengaluru last evening and clinched the series, 2-1. In the decider match, the visiting side chasing a big total of 203 were cleaned up for just 127 runs in 16.3 overs. With steadied innings in the middle overs, English batsman collapsed dramatically, from 119 for 2 to 127 all out. Indian leg spinner Yuzvendra Chahal was the main architect for destruction as he took 6 wickets for 25 runs. Olympic and Paralympic medals for the Tokyo 2020 Games will be made from recycled mobile phones. The Japanese public will be asked to donate old phones and small appliances to gather two tonnes of gold, silver and bronze for the 5,000 medals. The project hopes to promote sustainability and reduce costs. 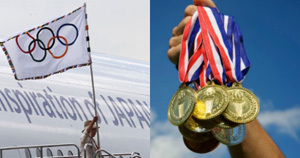 Members of Japan’s Olympic organising committee gave the idea to the government officials and companies. In the T20 cricket word cup for blind, the much-anticipated clash between defending champions India and Pakistan will take place at New Delhi’s Ferozeshah Kotla stadium today. The match started at 10 this morning. India yesterday defeated West Indies by whopping 142 runs in league match in Faridabad. On Monday, India beat Bangladesh by 129 runs at the opening match.